The main pest wasp species in the Greater Wellington and Manawatu Regions are Common wasps, German Wasps and Paper wasps. Wasps compete with native birds and insects for nectar. Wasps also consume native insects and even attack bird chicks in their nests. Just like the introduced possums, wasps have no natural predators in New Zealand, and they have access to plenty of food. Wasps are unwelcome guests in houses and businesses. Some people react very badly to their sting and venom. 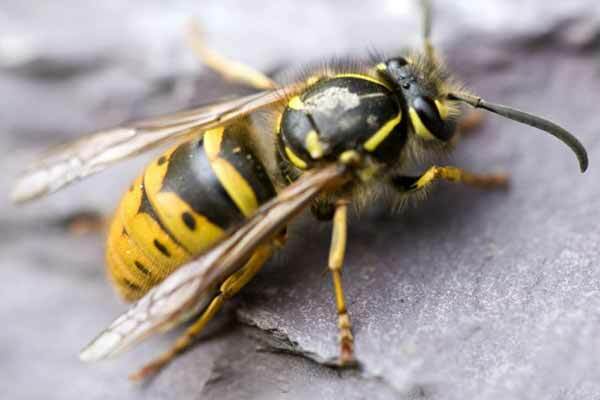 Listen to Pestproof owner Paul Chapman speak about wasps on Radio New Zealand. 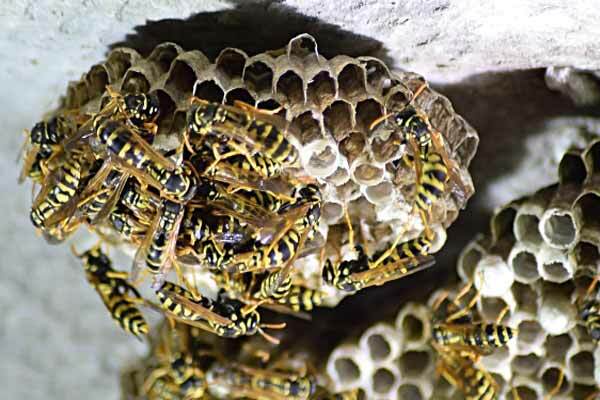 (German or Common Wasp nests) : $92 wherever the wasp nest is on your section, and also free treatment of any additional wasp nests you get this summer. All you pay is $92 once for multi wasp nest extermination or the removal of the dead nest if it is exposed and easily reachable. There is an additional charge of $60 if a second visit is needed for the removal of an exposed nest which we have already treated (We don’t remove live nests; we need to kill the wasps first).